We’re not long back from 7 weeks in our house in Florida. 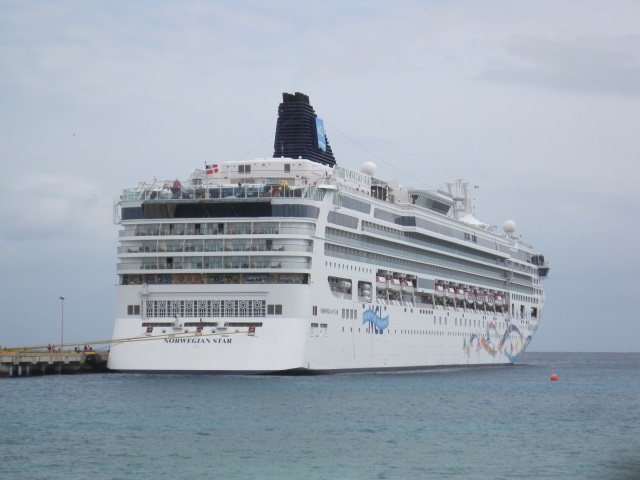 In the last week of February we took a one-week cruise to the Western Caribbean on the Norwegian Star. You can read all about this ship on the Norwegian Cruise Line (NCL) web site or Wikipedia. The ship left from Tampa which is much easier from Florida Breeze Villa than the 4 hour drive to Miami. We set sail on time at 4pm and enjoyed the slow journey through Tampa Bay from the top deck. 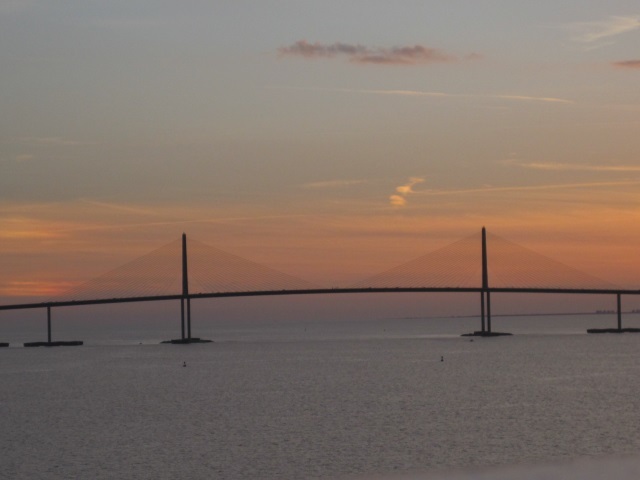 We reached the Sunshine Skyway Bridge just at sunset and many more people came up on deck to see the ship just squeeze under the bridge. The first full day was “at sea”. We found plenty to do, looking round the ship, reading up about the excursions and attending a lecture on the ports of call, which, thankfully, did not just advertise the ship’s excursions and shopping. Not many of the other activities really appealed to us except a quiz on outline maps of countries where we came first out of about 15 teams. By dint of having just 1 point courtesy of 4 days in the Bahamas in 2009, we were at Bronze level in the Norwegian Cruise Line “frequent cruisers” club, and found ourselves invited to a drinks party hosted by the Captain, a Greek who beamed when I told him that Greece was our favourite country. This was our first port of call and Honduras was a new country for us. 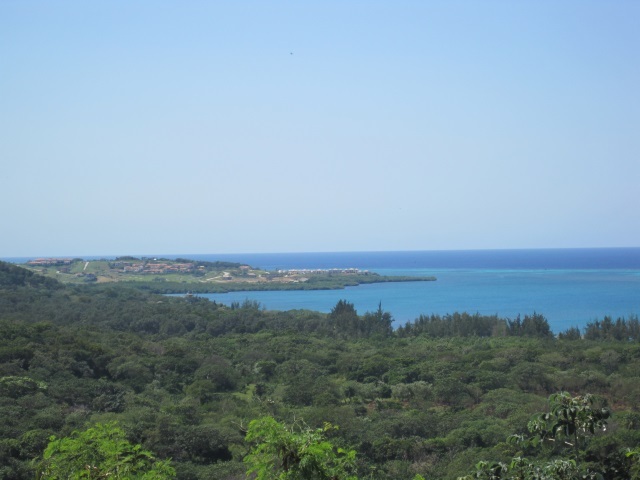 Roatan is an island about 60km long and 8km wide. It runs from north-east to south-west with most of the development in the south-west. 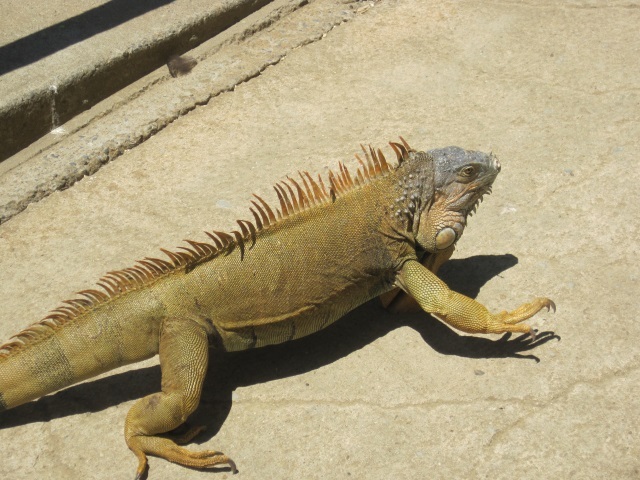 We had not booked any excursion, but just walked off the ship, went round the many tourist booths on the dock and arranged a taxi to take us to what is euphemistically called the “iguana farm”. 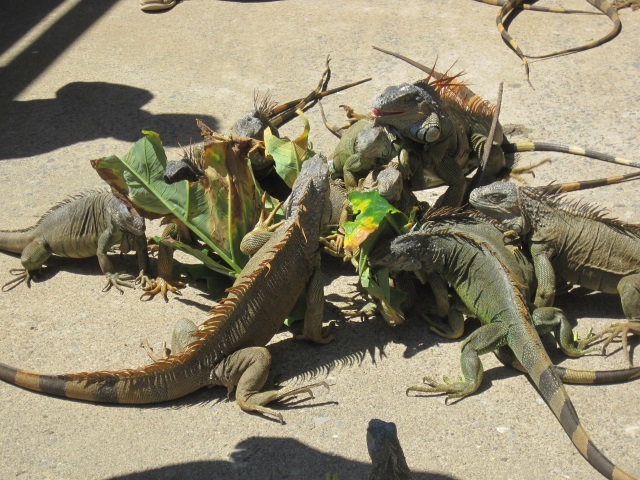 This wasn’t really a farm at all, but a feeding area where a lot of iguanas were fighting over some big leaves whch you could buy to feed them. 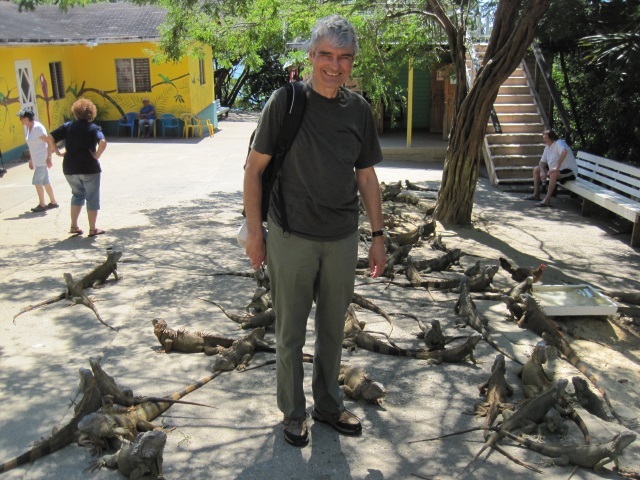 Some of the iguanas were several feet long and you could just walk about among them. We shared the taxi with a nice American couple and were delighted to hear that they had also been to Tuktoyaktuk on the Canadian Arctic Ocean. They were the only other people we have met who had ever been there. The Americans decided to go back to the ship after the iguanas, and we hired the taxi to take us on a tour of the southern part of the island. The scenery was pleasant jungle in low hills and we passed one nice but narrow beach with plenty of trees. Otherwise there wasn’t too much to see, except some brave people on a zip line across the harbour. The next port of call was Belize City which we had last visited (by bus) in 1978. Big ships can’t dock there and so we anchored some way out in a line with other cruise ships and were transported to the dock by a very fast tender. 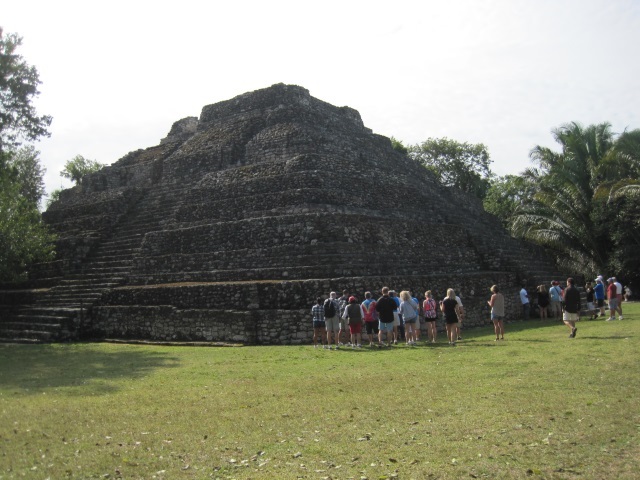 We had originally used our on-board credit to book one of the ship’s excursions to the Maya site of Altun Ha, but, after reading up a bit more, we managed to change this to go to Lamanai. This was an excellent decision as the Lamanai site is a lot bigger, and it is a longer and more interesting journey to get there. We started with a 90-minute bus journey, then boarded a boat for a one-hour river trip. 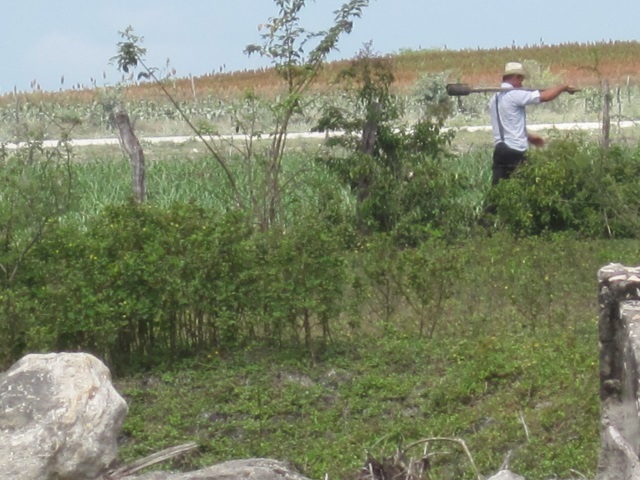 The guide pointed out various birds and an iguana hanging in a tree, but perhaps the most interesting thing for me was to see one of the Amish tending his garden. I had no idea there were Amish in Belize and he was dressed just like the ones in Pennsylvania. There are several pyramid temples at Lamanai and we walked about a mile round the site from one to another, along paths through the jungle. Now you are only allowed to climb up one pyramid, and then via a wooden stairway at the back, a bit different from when we went to Chichen Itza, Uxmal and Tikal in 1978 when you could almost climb anywhere. Then it was back on the boat for a faster journey back to the bus (no slowing down for wildlife). Lunch was chicken, rice and beans under a thatched roof before going back to Belize City on the bus. We had hoped to look round the town a bit to find where we stayed before, but there wasn’t time. Later we learned that NCL will not be going to Belize City after this year because they are developing a private island in Belize instead. We were very glad that we had gone to Lamanai. The next day we were in Mexico in a totally artificial port called Costa Maya which has been built just for cruise ships and consists almost entirely of shops. 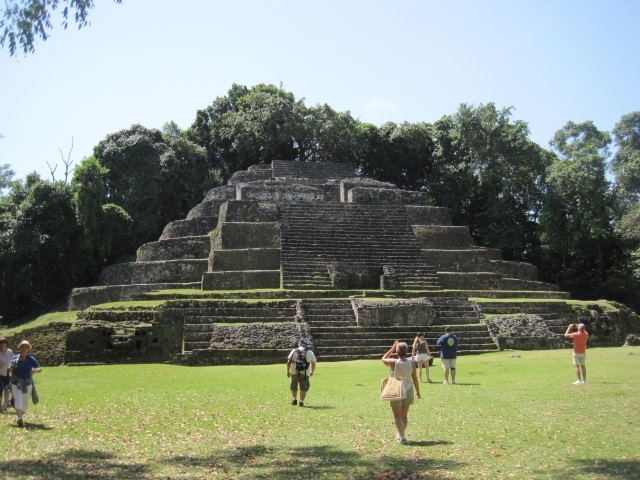 We had booked our own trip here, Mayan Experience with NativeChoice tours. This was excellent and much cheaper than what the ship was charging for something similar, and we were only 13 in the group. We first went by bus across totally flat terrain to the Mayan site of Chacchoben and had a guided tour of the ruins, where, among other things, we could just see the remains of the bright red paint which was once on the pyramids. Apparently they were all brightly painted and the guide showed us a picture of what it might have looked like. We could climb up some steps here to another grass platform with another pyramid on the top. Then we were taken to the village of Chacchoben for a Mayan lunch which was excellent, much better than the one we had had in Belize. We were introduced to all the ladies who had prepared it. We even finished with flan (crème caramel) which is our favourite dessert in Spain. The restaurant was in a lovely garden where I particularly liked the multi-coloured bougainvillea. Before lunch we had a lesson in making tortillas and we all made our own. The shopping centre at Costa Maya had free wifi (a big bonus) and so we spent some time there before getting back on the ship. Our final port was at San Miguel on the island of Cozumel off the coast of Mexico. We had arranged a rental car for the day from Alamo who have an office in the cruise port shopping area. 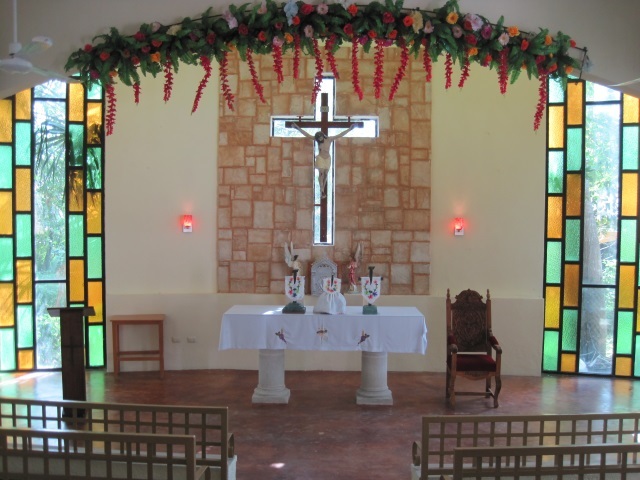 We drove south first along some of the coast road, then to the village of El Cedral where there is a tiny and inconspicuous Mayan ruin, but also a lovely small church. 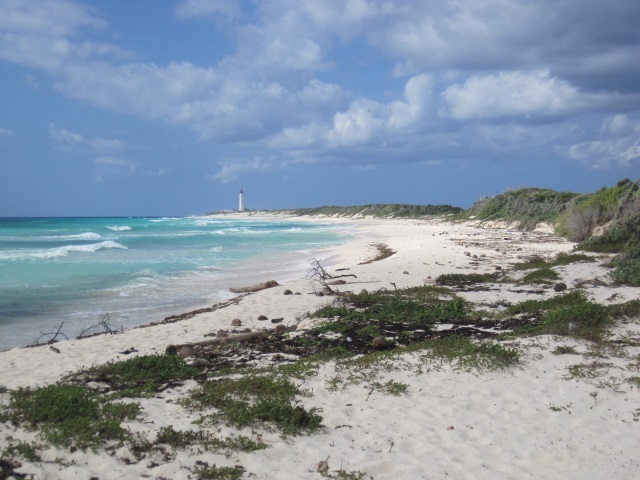 Without any real advance planning we turned off at the southern tip of the island to the Parque Punta Sur, which is an ecological area with some lagoons as well as a lovely beaches. This was a good choice. We stopped at one of the lagoons where there’s a viewing tower for bird watching, then went to the southern tip of the park where Martin went up the lighthouse while I visited the excellent historical museum where there are some lovely illustrations. 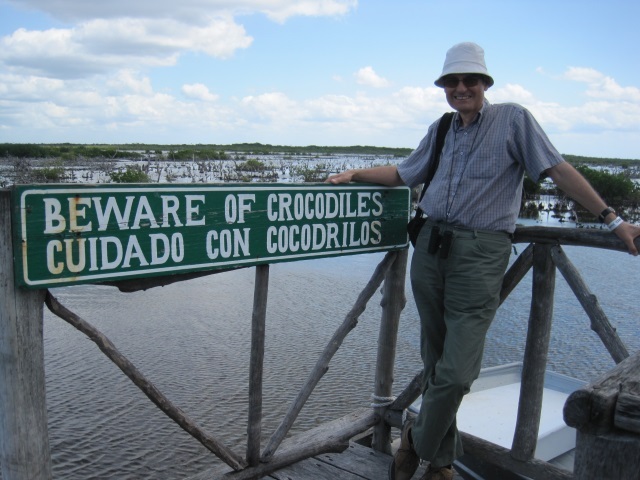 We drove on to the end of the road and walked the board walk to another lagoon where there was no sign of any crocodiles in spite of a large warning notice. 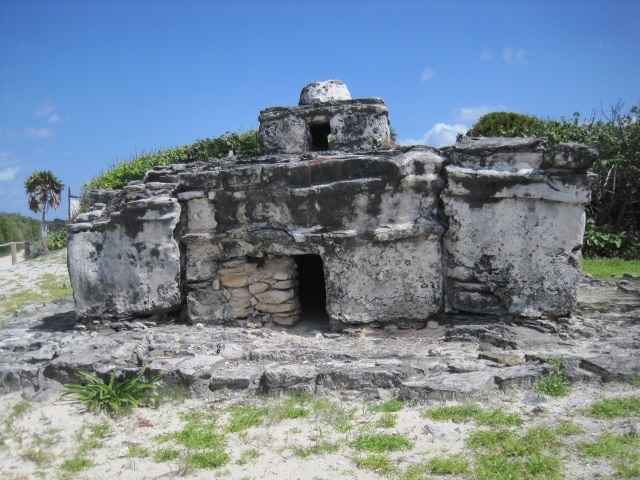 After lunch on the beach we headed back and stopped at a small Mayan ruin called El Caracol. 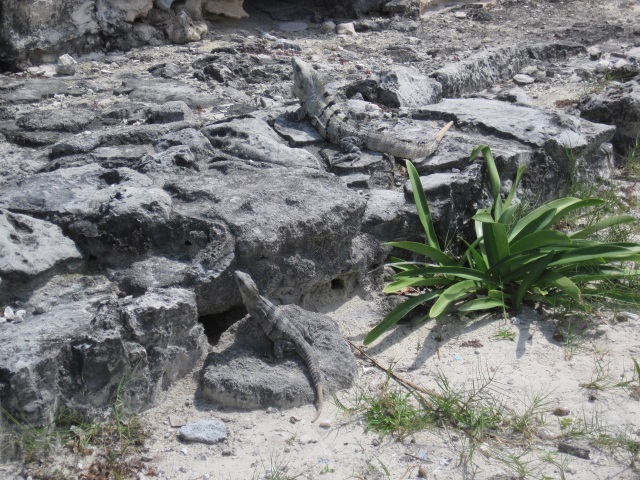 We eventually spotted two iguanas by the ruin, both the grey colour of the stone. We then drove north along the eastern coast road where it was definitely more windy and where there were some nice beach stops. We avoided being pestered too much by a man carrying an iguana who was charging people to have their photo taken with it on their shoulders. We had to drive back fairly quickly along the road across the middle of the island. We had seen half of Cozumel and the areas where most people live. Some time it would be nice to go north but you definitely need a 4×4 for that. I would go to Cozumel again on a cruise ship one-day stop, but it didn’t really appeal to us for a longer holiday. seemed to think it was still sunbathing weather. Disembarkation in Tampa went well even though there were almost 2000 people to get off the ship. There was some chaos around the shuttle to where we had left the car and so Martin simply walked the 300 yards to the car park and drove back to fetch me and our bags. We liked the ship and we very much liked NCL’s “anytime dining” where you don’t have to eat at a specific table at a specific time. The food was generally very good. We ate breakfast in the smart dining room on the days when we didn’t have to get off the ship early. The environment was better than the self-service cafe, but I would have preferred a buffet for breakfast as the menu tended to concentrate on American-style cooked main dishes. I did want to thank the maître d’ who went out of his way to find me some multigrain bread instead of the standard and rather dull sliced bread they were serving. Otherwise the food was imaginative and very well presented. There was a huge amount of food in the self-service buffet, where we had lunch or a late snack on most days, and they made a serious attempt to make it interesting with themed dinners. Our cabin was spotless – it was cleaned twice a day – and, amazingly, our TV had BBC World. We didn’t really join in other activities on the ship, except to go to some of the entertainment in the huge theatre. The ship had its own band, singers and dance troupe, but we liked the acrobat high up on a hoop the best. It was only warm enough to go in one of the jacuzzis three times, as we like to do this just before dinner. 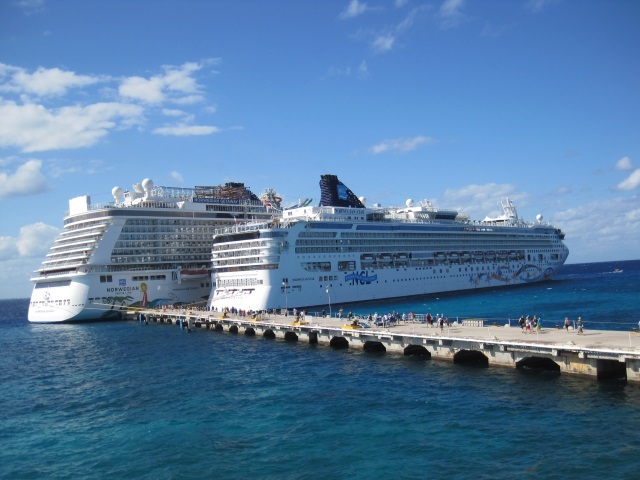 The Norwegian Star was big enough, but cruise ships are getting bigger still, as we saw when the Norwegian Getaway was docked next to us at Cozumel. This ship can take almost 4000 passengers. 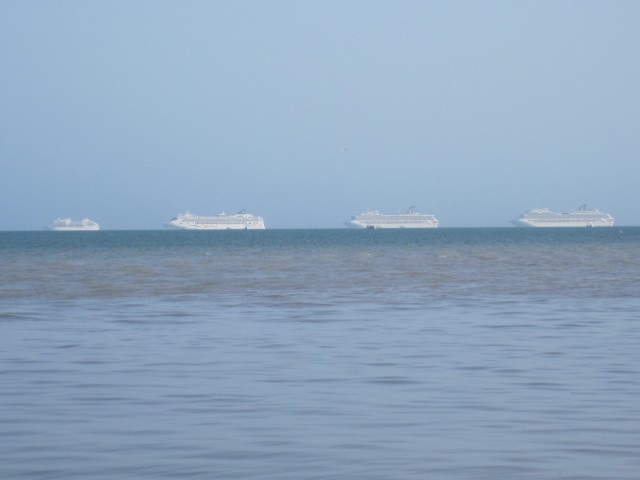 I’d like to try one of these mega-ships some time but they can’t get under the Sunshine Skyway at the entrance to Tampa Bay and mostly go from Fort Lauderdale. Their size does limit which ports of call they can go to. As on the previous cruises we have taken from Florida, most of the other passengers were Americans. There were some Canadians – we met several doing the quizzes – and very few other British people. There was therefore some tendency for presenters to address Americans all the time, but not like the elderly lecturer on a cruise we went on several years ago who seemed convinced he was the only person on the ship who had been to Cuba, in spite of plenty of Canadians and ourselves in the audience. 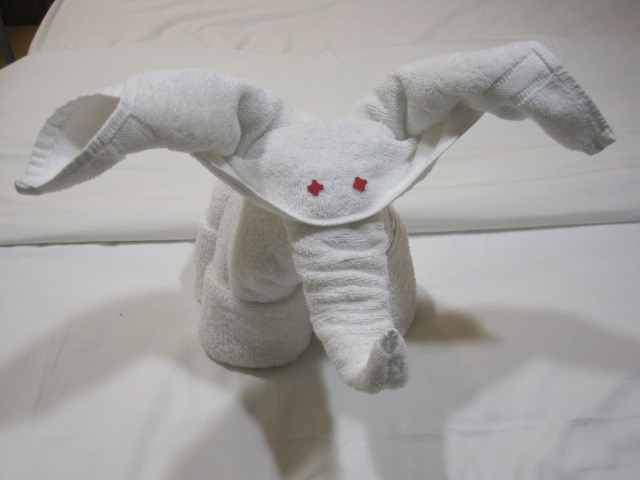 We met some interesting people, but most of them seemed only ever to holiday on a cruise ship. They had been to a lot of places, but only those you can get to on a day trip from a port. It was close to Super Tuesday. We didn’t get too embroiled in conversations about the American election, but those conversations we did have really showed how polarised American politics have become. All in all it was a good cruise. 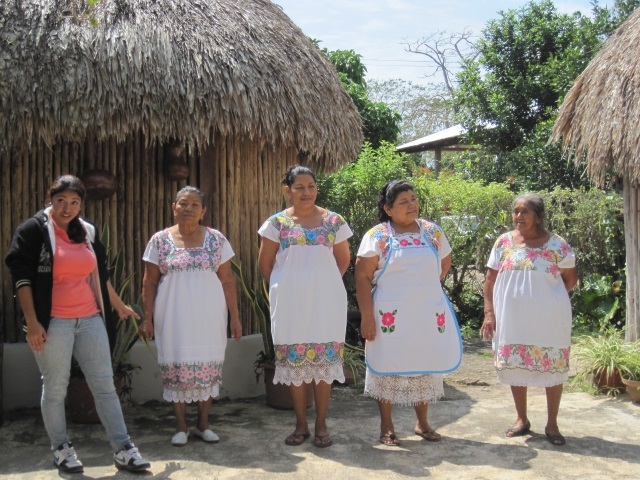 I would recommend NCL and highly recommend NativeChoice whose tour we took in Costa Maya. We had a good time, we learned a lot and it didn’t rain at all, at least during the day. The down side: in spite of watching what I ate, I put on 7 pounds in the week, which was then not helped by some visits to Webbs Candy after we got back. Their ice creams are huge, and highly recommended if you stay at Florida Breeze Villa.